Stayed for one night.Clean and comfortable. Lovely cooked breakfast. 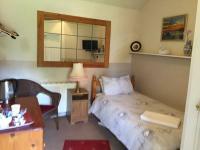 Lovely cosy en suite room with great facilities.Nice quiet location. Great breakfast. Helpful friendly host- nothing too much trouble. Highly recommended. many thanks for your stay here lad you enjoyed it!Rolandscroft! We had a lovely stay, clean, warm and welcoming with all the comforts. Thankyou. Will definately come back. Many thanks for your review Danny so Glad you enjoyed your stay at Rolandscroft!see you next time! Thank you to Pete lovely guest house clean comfortable with a great host. Best breakfast i have had cooked for me. Great place to stay highly recommended. Many thanks Danny Glad you enjoyed your stay, c you next time!Rolandscroft! Comfortable, clean, good breakfast. In fact everything you would expect from a B &B including excellent value. Many thanks for your Review Derrick nice to see you again,Rolands Croft! Our early arrival was facilitated and we were able to get ready for the nearby wedding in comfort;parking is easy and secure, beds comfortable, breakfast is hearty and excellent . Thank you Peter, if ever we are in the area again we will be back. We had a lovely time at this guesthouse it was perfect for what we needed. The host was really nice and breakfast in the morning was a nice touch. Warm welcome, comfortable, very presentable room, bathroom small but adequate, fan noisy.Breakfast good. Quiet location. Dog friendly. Good value. Would visit again. Lovely accommodation. Superb care and attention to detail. Very personal service. Everything you don't get from the big chains. definitely will stay here again and would not hesitate to recommend to anyone. Very comfortable and very good breakfast. Lovely friendly owner and great breakfast. Thanjs for a very comfortable 2 night stay at your guest house Peter. Really enjoyed the warm, spacious room and nice breakfast. Just need a litle maintenance to fix toilet seat and flushing handle. thank you for having us and the great welcome we received, lovely place and great breakfast with a relaxed atmosphere, would recommend to anyone 5 mins from Pontefract race course made it the ideal place for us , plan to return again. Pleasant stay.i was in a nice big room.. Set in a lovely area.. No wi fi available in the rooms outside the main building.. The breakfast was very nice annd service was good ..reasonably priced..over all a pleasant stay. I found the proprietor at Rolands Croft to be very friendly and helpful. The breakfast was very tasty and the secluded location, although only about ten minutes by car from the town centre, meant I wasn't bothered by traffic noise.I was offered a smaller room than the one I had expected as it was cooler (30 degrees in the sun today) and although the decorative order was not great in this room I was grateful for the choice. 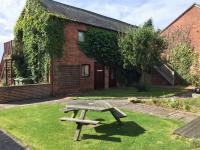 I stayed at Roland's Croft for two nights whilst on business in Castleford, we received a warm welcome, had clean and comfortable rooms and a nice breakfast. Great value for Money and worth checking out the stone baked pizzas down the road on the Bradley Arms. 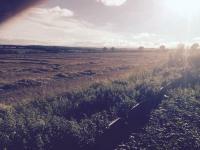 Our short visit to the Pontefract area was made more memorable by our stay at Rolands Croft. I would have no hesitation in recommending this guest house. We will certainly revisit in the future. Beautiful room in a converted barn. 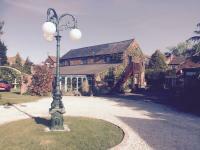 Great location less than 2 miles to the centre of Pontefract and just along from the golf course. Fantastic breakfast and great customer service. Very relaxed and I felt as if I was staying with friends.So impressed I cancelled my room in another hotel to stay there again when I'm back on business next week. Comfortable stay in unique old barn style room. Clean, warm and spacious room. Comfy bed. Host was genial and friendly with sense of humour. Excellent breakfast served in farmhouse style room.Would go back again. I decided to surprise my boyfriend and take him away for the night. When we got to the hotel, the owner was very kind and sweet and showed us to an absolutely beautiful room. The next morning we went to a lovely decorated dining room and was cooked a delicious cooked breakfast with also the choices of cereal, toast, tea, coffee, milk and oj. Overall a perfect night away and we will definitely be returning. Many Thanks Amy!you are always welcome here!have a nice day!Pete!Rolandscroft! Enjoyed my stay, Peter was a great host, &the breakfast was just right to set you up for the day. Rooms were comfortable &clean. I intend to stay again later in the summer of 2017 if he can fit me in . Hi Christopher!many thanks for your stay and nice enjoyable Review,Catch u next time! and please remember room discounts on future tel bookings. Good nights sleep in a very comfortable bed, the facilities were good, (bathroom enormous).Pete provided an excellent full English breakfast that was hot,(including the plate), better than some hotel chains I have stayed at.Ideally located for us and most welcoming. Hi Clifford!great to hear you had a nice time at RolandsCroftcatch u next time !!!! Many thanks David !Glad you enjoyed your stay at RolandsCroft,catch u next time!!! Very warm and friendly receiption from the ownwer on arrival.Room was comfortable and clean.Good breakfast in pleasant dining room.Would definately stay again and have already recommended to others. Many thanks to you positive review and we also look forward to seeing you again at Rolandscroft! Rolands Croft was a very convenient place for me to stay. I was visiting my Mom who lives in Vicarage Court Care Home just 10 Minutes walk from Rolands Croft. My room was clean and bright, comfy bed and good TV. Breakfast was lovely, hot and on time. Peter is a pleasant and cheerful guy too. Hi thank you for staying and enjoying your stayRolandscroft! Nice place, friendly host and really good value. Thank you for staying nd look forward to your net stay! Had a wonderful stay at Roland's croft, room was lovely and very comfortable,and had a great breakfast to wake us up the next morning! Very easy to book. 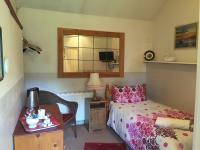 Very welcoming includingto dogs.Pleasant surroundings.Comfortable, and private room.Excellent full English breakfast. Thank you for enjoying your stay with us at Rolandscroft look forward to seeing you and the dogs again!Pete! My wife and i stayed here on the 6.8.2016. Pete is smashing.Nothing too much trouble.The rooms are clean. Breakfast lovely. Value for money? Most definitely.We will be backThank you. Clean,comfortable room ample for the two of us . all mod cons and the breakfast was cooked at the time for us so was hot . personal touch was very good. Travelled as a student. Rooms clean &tidy, the owner is a top bloke who cooks you breakfast every morning for 07:30am. Quiet so was able to get my head in my books with no distractions. Will definitely stay again.Cheers. I had a very pleasant stay. the breakfast was spot on &set me up for the day. It was close to all the places I wished to visit, &Peter was a very fine host &I would not hesitate to stay there again when visiting West Yorkshire. Great rural location snd beautiful farm house-type accommodation. Big room and all very well updated. Host was great enabling me to check in outside of normal times. Featherstone is not easy to get to and it was aa long journey getting there, however the guest house was excellent and the the guy in charge (Pete) is very kind. Had a restful stay and was not disappointed in any way. Highly recommend staying here if you find you need to visit Featherstone. Warm welcome lovely room and a good breakfast. Felt very comfortable throughout my stay. Will come back and recommend to family and friends. 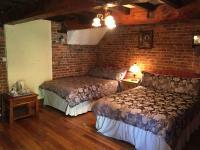 Nice / interesting accommodation,private parking, clean,comfortable, good breakfast, friendly proprietor. Will stay again. Lovely room with a comfortable bed, room was kept warm all throughout the night and good customer service. Bathroom could have been a little more cared for, but did the job fine. The stay was great.The room was very good and the host was fantastic.The breakfast was hot with a good variety. We booked for one night . Peter was very helpful and we appreciated the opportunity to use the fridge. The room was comfortable and we had a lovely breakfast. Lovely owner, great room! Peaceful setting and smashing breakfast, we will stay again and recommend to friends. HOTEL WAS EXCELLANT.ROOM VERY CLEAN.HOSTS VERY POLITE EXCELLANT COMMUNICATION.THE BREAKFAST COOKED EXCELLANT PRESENTED FIRST CLASS.WILL BOOK AGAIN.WHATS EVEN BETTER I TOOK MY LITTLE DOGS. CAME TO THIS HOTEL TO GO HORSE RACING FOR FATHERS DAY AS A SURPRISE.LOVELY BIG CLEAN ROOM.LOOKING ONTO THE GARDEN.LOVELY AND WARM ON THE NIGHT.VERY FRIENDLY HOTEL OWNER.EXCELLANT BREAKFAST.TEN OUT OF TEN.WILL COME AGAIN. 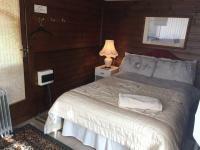 Nice friendly guest house with adequate facilities in a beautiful setting. My only criticism is the lack of space in the shower, have two bruises from bashing my arm when picking up my shampoo. I stayed at this guest house for four days. This was a home away from home. The rate is reasonable. The breakfast was great. The courtesy, friendliness and personal attention I received was second to none. I must add that this is particularly an ideal place for those taking trade practical courses in Featherstone.I definitely want to have a repeat of such an experience. I came across Roland's Croft whilst looking for a place to stay at short notice. I feel extremely lucky I found this place. After booking I received a call from Peter, the proprietor to confirm our arrival details. We arrived a few hours later to find our rooms clean, tidy, with a warm feeling &lots of character. The bed was extremely comfortable &contributed to a wonderful nights sleep. A full English breakfast was on offer in the morning which was very well presented &very tasty. Beautiful peaceful surroundings, definitely my first choice if I'm in that area again. In a nutshell a most enjoyable stay with the perfect host. Enjoyed myself,Peter &his staff were always pleasant &included you in the daily routine. The breakfast was a bonus as it set me up for the day visiting family &friends. I would definetly stay again if visiting the Wakefield area again. Very convenient to Pontefract &Wakefield. A pleasant stay with a warm and welcoming host. Friendly welcoming and very accommodating with a last minute booking. A quiet peaceful setting away from busy roads and delicious breakfast. we will definitely be back. Very friendly atmosphere with great service and a lovely breakfast. A very quiet and peaceful location.